There is an interesting story associated with how the Hoysala dynasty was named. It is said that a young boy named Sala and his teacher were in a temple in Angadi when a tiger approached them menacingly. The teacher handed Sala an iron rod and said “Poy Sala” which translates to ‘strike Sala’. Sala took the rod and kill the Tiger with a single blow. Sala went on to set up a vast kingdom and took his teacher’s cry as his family name. The figure representing Sala attacking the tiger became the emblem of this royal family and can be seen in almost every temple built by the Hoysalas. However, the story has a number of discrepancies and is considered folklore by many historians. The Hoysalas ruled a large part of modern day Karnataka and parts of Andhra Pradesh and Tamil Nadu from the 10th to the 14th century. 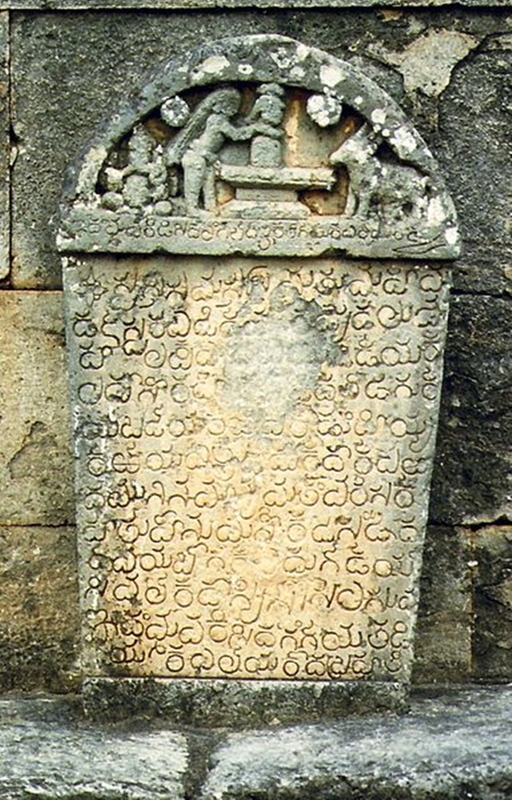 Historians consider them to have been natives of the Malnad region in Karnataka but inscriptions also point towards connections with the Yadavas from North India. The Hoysala Empire was founded by King Nripa Kama II who is remembered to having built an alliance with the Western Ganga dynasty. He was succeeded by his son Vinayaditya who was followed by his son and their sons until Veera Ballala I who died childless and was succeeded by his younger brother Vishnuvardhana Raya. In the history of Hoysalas the name, Vishnuvardhana Raya holds great importance. It was under King Vishnuvardhana Raya that the kingdom achieved political prominence. Of his many military conquests, he is best known for winning the Gangawadi area from the Cholas in 1116. It was also under his reign that the influence of Sri Ramanujacharya spread in the Karnataka region and Srivaishnavism grew in popularity. Vishnuvardhana Raya himself was originally known as Bittideva and took on this name only after converting from Jainism to Srivaishnavism. A number of Vaishnava temples were built under his patronage while his queen, Shantala Devi who remained a devout Jain, fostered a number of artists. In the late 1100s, King Vishnuvardhana Raya’s grandson, Veera Ballala II freed the Hoysalas from the Chalukya subordination and established an independent kingdom. Kannada folklore suggests that he founded the city of Bangalore. He was succeeded by his son; Narasimha II who in turn was succeeded by his son, Vira Someshwara. Civil war broke out under his reign and the kingdom was partitioned into two parts and ruled by his sons, Narasimha III and Ramanatha. Veera Ballala III, the son of Narasimha III is considered the last ruler of the Hoysala dynasty. He reunified the kingdom but after his death at the battle of Madurai in 1343, the kingdom disintegrated and was merged with other empires. Today, the empire is remembered mainly for its temple architecture rather than its military conquests. There are over a hundred temples from this era still standing in various parts of Karnataka. Three of the most well-known Hoysala Temples are the Kesava Temple at Somanathapura, Chennakesava Temple at Belur and Hoysaleswara Temple at Halebidu. The Chennakesava Temple or Kesava Temple at Somanathapura was built under King Narasimha III in 1268 C.E. This is considered a Vaishnava Temple and has three shrines devoted to the different avatars of Lord Vishnu. The temple is built from soapstone and is known for its lathe turned pillars, symmetrical architecture and intricate sculptures. 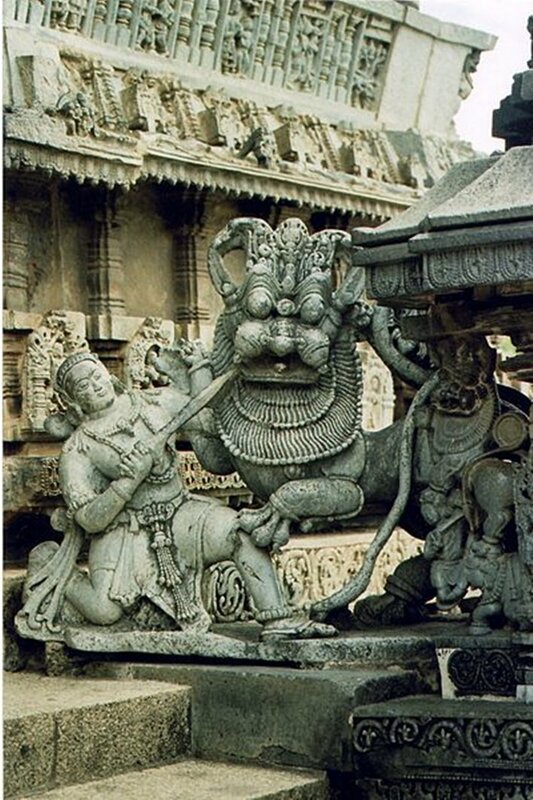 Belur was originally the capital of the Hoysala Kingdom. In 1117 AD King Vishnuvardhana commissioned the building of this temple which was originally named the Vijayanarayana Temple. Scholars stand divided on whether it was built to celebrate his victory over the Cholas in the battle of Talakad or to commemorate his conversion from Jainism to Hinduism. The temple itself marks the development of a new Architectural style. It is also renowned for the 48 unique pillars inside the main hall. Of these the Narasimha pillar and Mohini Pillar are the most well-known. In the 12th Century, the Hoysala capital shifted to Halebidu under the rule of King Vishnuvardhana. It is said that the rich an influential Shaiva followers of the city initiated the construction of this temple in competition with the Chennakesava Temple in Belur. This temple is best known for its intricately carved sculptures.